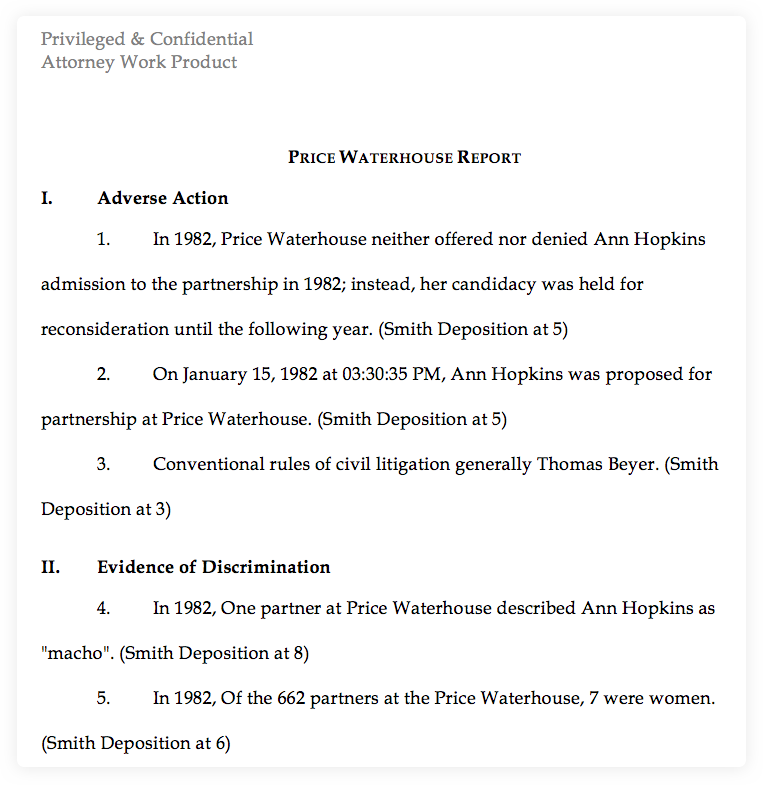 Reports enable you to transform your case chronology into statements of fact, deposition outlines, opening statements, and more. 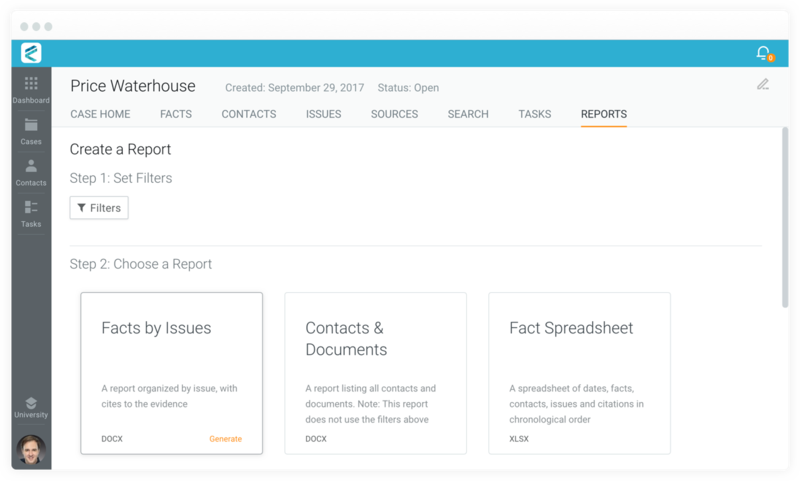 Each report in CaseFleet gives you the ability to generate effective work product based on the contents of your case and needs at each stage. CaseFleet’s “Facts by Issues” report provides a ready-made statement of material facts and can also be used as an outline for cross-examination. What are facts without evidence? Not much. That's why each report provides the option to download a zip file containing the documents referenced.